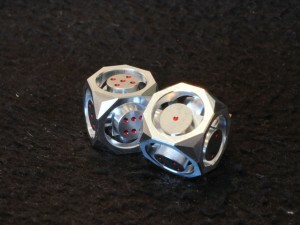 GeoDice are specially milled and machined aluminum dice. They're up on Kickstarter now and looking for some funding love. These are unique dice, crafted in the USA by a skilled Tool & Die Maker, using the latest CNC technology along with years of expertise.